Laura Janicki graduated from North Star College in England with a Degree in Business Studies. She moved to the US over 17 years ago, where she resides in Mooresville with her husband Tom. 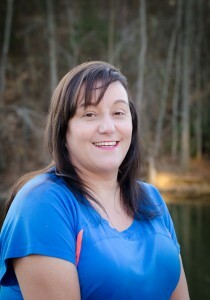 Laura graduated from the Edmund Morgan School of Neuromuscular and Bodywork Massage Therapy in North Carolina in 2004. She specializes in Swedish, Neuromuscular Deep Tissue and Reiki massage techniques. Laura also has experience with hot stones, chair, pregnancy, and sports massages. Prior to becoming a massage therapist, Laura was involved in customer service. Her charm and people skills allowed her to help customers with a sense of ease. She is highly intuitive and has a natural healing touch. Laura loves to help people feel better both physically and emotionally. Laura is a licensed massage therapist, LMT #6091, for Active Spine Chiropractic in Mooresville, North Carolina. She continues to learn new techniques to enhance her ability to do the best for her clients. Her goal is improve the health and well-being of her clients through massage.